World’s Best™ saw blades are manufactured with a special Cermet II tip that allows the blades to cut at faster feed rates and stay sharp longer. With our Cermet II tipped blades you will be investing in a saw blade that gives a better edge than standard carbide tipped blades, stays sharper longer, and is more resistant to tip fracture. The advanced technology used in Cermet II tips makes them more heat resistant than carbide, allowing you to cut at faster feed rates without harming the saw blade or burning your wood. When it does come time to sharpen, they can be ground just like standard carbide blades, so no special sharpening is needed. Each World's Best™ saw blade is custom made to order by Carbide Processors. It doesn't matter if you're a lumber mill, a panel processing plant, a furniture and fixture shop, or a serious home hobbiest - you simply will not find a better performing saw blade anywhere. 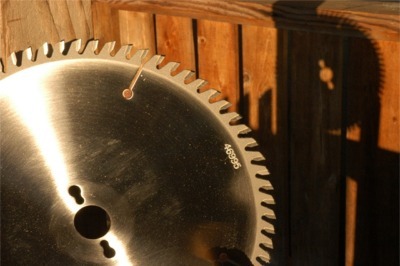 Check out the article on World's Best Saw Blades featured in Woodshop Magazine! Click to get a better look at how we make the World's Best™ saw blades.